So have I ever said that one of my first impressions of the Netherlands was that the interiors were constructed to resemble dollhouses? With 17 million people living in a country the size of South Carolina, Dutch homes (in comparison with American homes) are small, narrow, and…cozy. I can still remember the sensation of climbing the stairs for the first time to Frans’s apartment (now our apartment)…I felt like I was climbing a ladder. Now I carry our stroller daily up and down those same set of stairs. 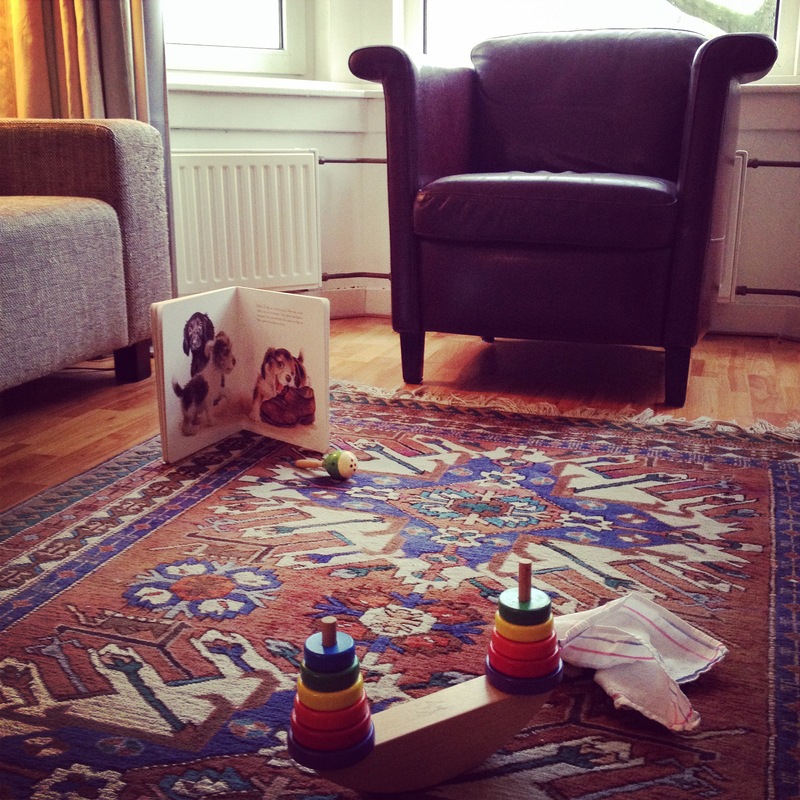 One of the benefits of small and cozy European living is the benefit of learning how to live minimally. Our Amsterdam apartment is 52 square meters (that’s 560 square feet). That’s two adults (both working part time from the home) and a baby, a piano, two desks, a dining room table, sofa, crib, king size bed…all sharing the same space. I say benefit, because it is really an amazing skill to acquire: learning how to purge and simplify. I got my first lesson when I moved here from Florida. I had a cute house full of books, books, books, clothes, antique furniture, dishes, pictures in frames, etc. Everything felt necessary, everything felt indispensable. But guess what? It wasn’t. I got married and moved over here, slowly smuggling possessions over in my luggage. I told friends it was like answering that question, “If your house was on fire and you only could save five items, which ones would you choose” except with more time to decide. And that question: what’s important and what’s not, is a very good one to ask when you’re preparing for a baby. When I found out we were pregnant with Estella, the tiny room adjacent to the living room was decided as hers. It has a large window and no closet space, it closes with two sliding doors next to the living room, but she’s used to the noise and baby’s don’t take up a lot of space. Frans even built a changing table to go on top of her crib when we need it. 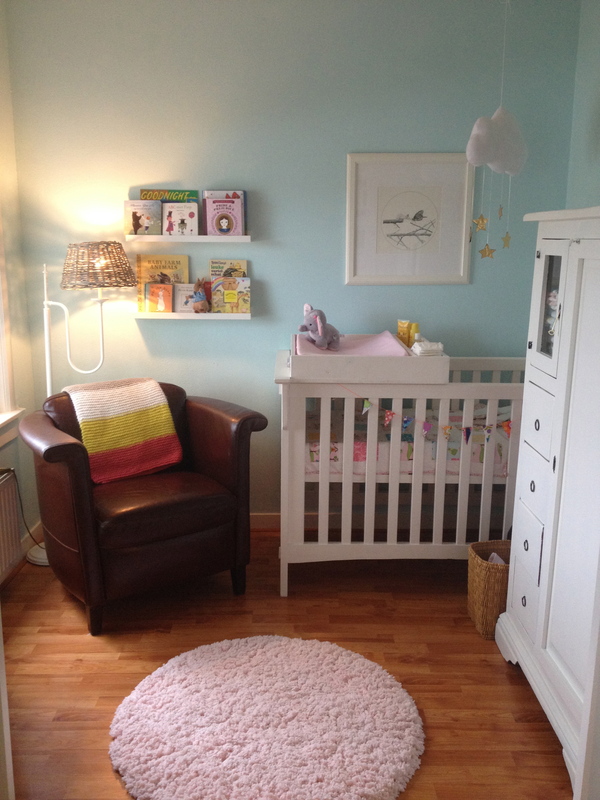 And her room is cozy with bookshelves and paintings, a small cabinet to use as a closet, a lamp, rug, and crib. So, baby essentials. What does a minimalist really need? Organic coconut oil. Essential. It’s good for baby’s skin and can be used as diaper cream, bath oil, lotion…good for most things, all in one. 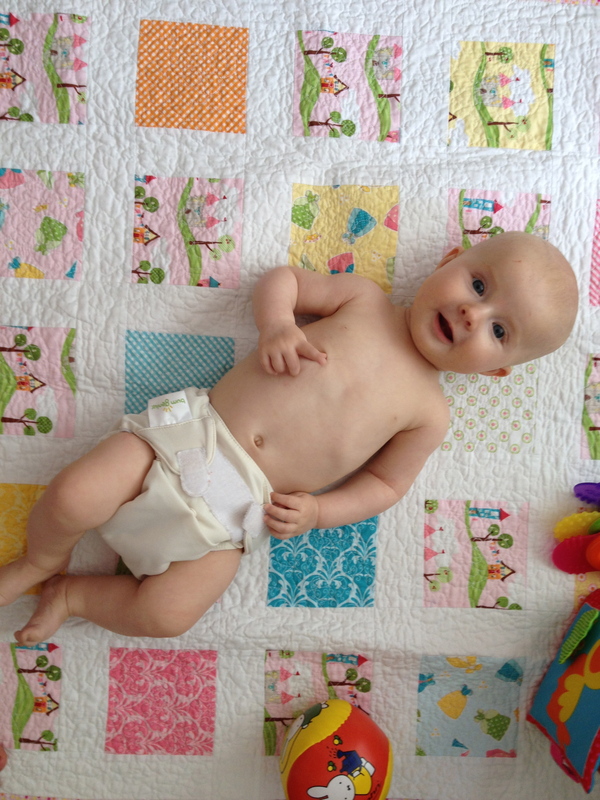 If you’re cloth diapering, we use Bum Genius cloth diapers, four-in-one. I got gender neutral colors because you can save them and use them for every kid. They really do come clean in the wash, and we hang them to dry on these Ikea thingies: I have 18, but I think 25 or more would be ideal. 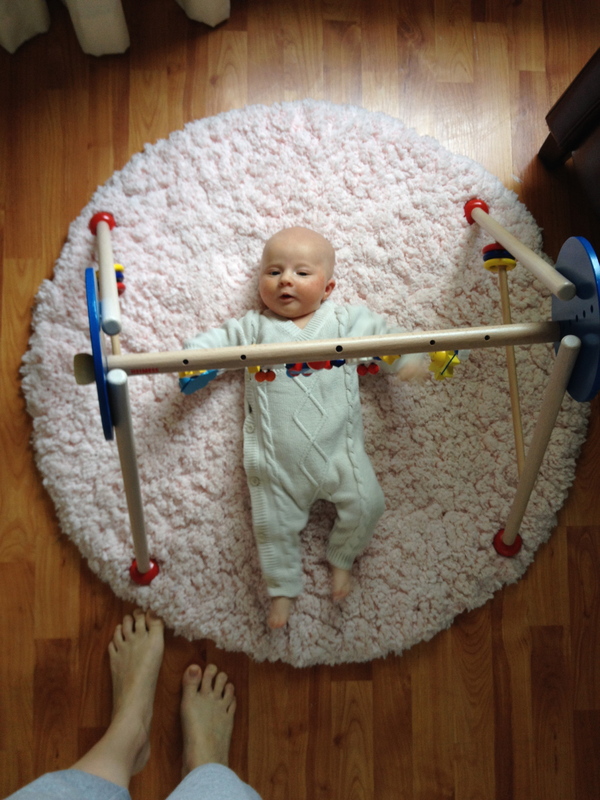 Of course, we didn’t use them in the first 8 weeks or so because she was so tiny. Aiden + Anais receiving blankets. Good as sun covers, breastfeeding covers, swaddlers. Quality, cute, classic, and dries fast. We used one package of four. White Gerber onesies. All sizes, shapes, and sleeve variants. They are so cute, and you can layer, and they’re white, so you can get them clean when you throw them in with your whites. 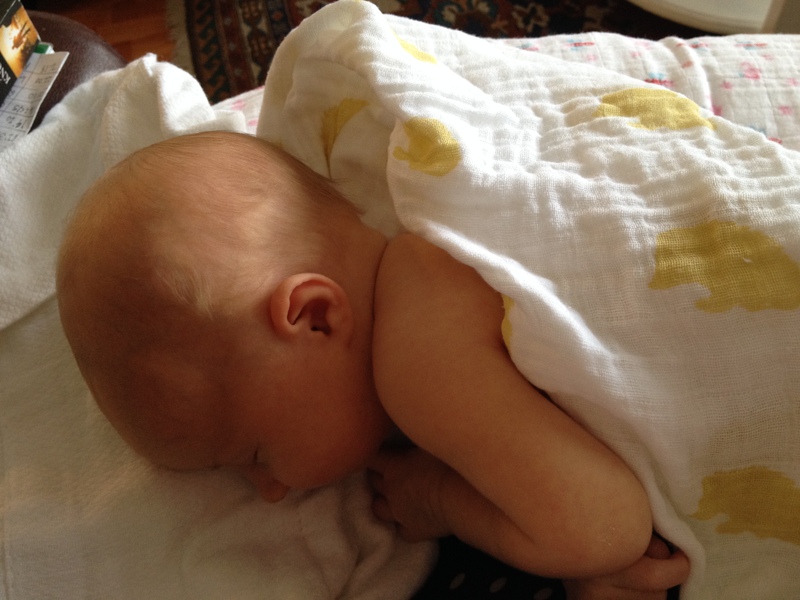 I recommend getting the kimono-looking wraparound ones for newborns so you don’t have to slip anything over their heads. Nose Frida. This snot-sucker is more sanitary than the traditional snot bulb. My friend Nicole recommended it to me, and it helped us through some snotty times. An Oxo travel bib and Boon spoon. Both terrific for at home or on the go. Easy to clean, easy to use. 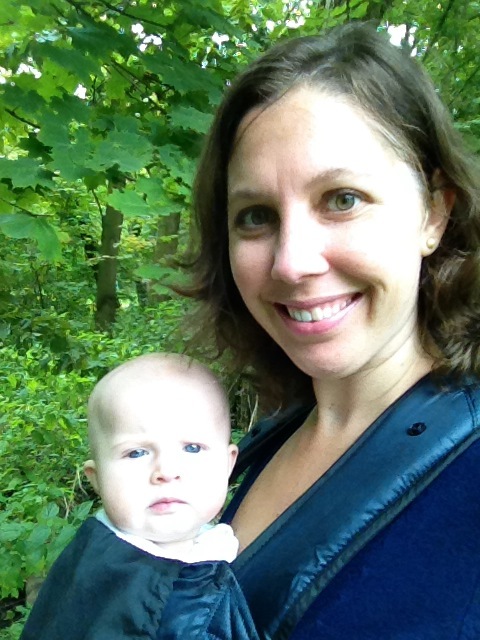 Ergo baby carrier with infant insert. We’ve used this all the time, especially in her tiny baby days, and the best thing is we can use it until Estella is two. A Medella breast pump. Manual if you’re not sure if you want to breastfeed, a mechanical pump if you’re serious and committed. Bottles and storage containers, along with a bottle brush and bottle rack are also important. A high chair. We use a 15 euro one from Ikea. Toys and a quilt to play on. We prefer wooden, but Estella’s favorites so far have been a simple wooden gym, a wind-up musical elephant, crinkle books, and touch and feel baby books that she can’t tear apart. She just got her first baby doll and loves it. Babies don’t really need that many toys. What would your top ten list include?